Welcome to extreme luxury, a pleasure zone beyond. 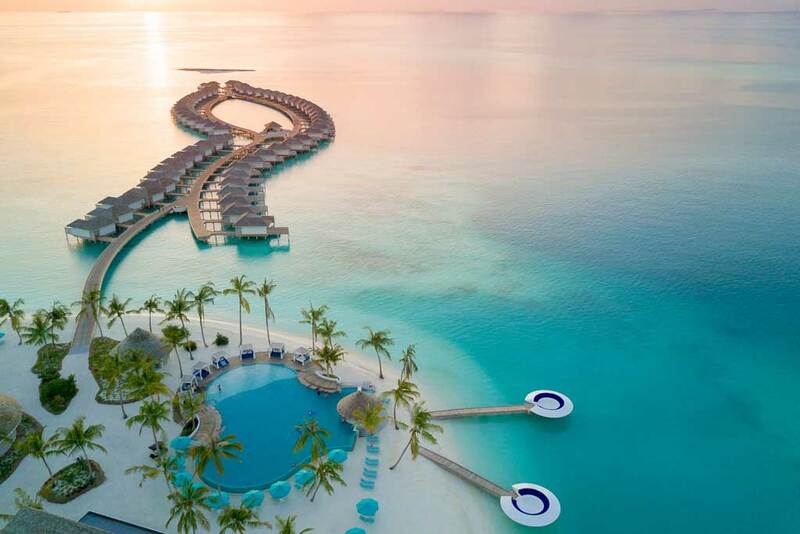 This is one of the most polished hotels in the world, let alone the Maldives. Forget barefoot, it’s like landing in a Net-a-Porter advert, so pack your best resort wear. Beach Villas are palatial and private: lots of mahogany and teal, his and her wardrobes, a mini-fridge for your make-up (seriously), and a private pool. It’s just a short amble to a perfect white-sand beach with translucent sea. What a show stealer. If you can bear to leave the confines of your villa there’s an overwater, enchantingly-lit Japanese restaurant with black cod and buttery sashimi to die for, a smoothie bar on the sands and a beach club restaurant with epic calamari. Plus watersports galore, obviously, a giant lap pool and an Espa spa offering properly holistic and delicious treatments in cabanas overlooking the sea. A honeymoon dream for those who like things flash. The Maldives is formed of 20 mesmerising natural atolls which have, over the years, become home to more envy-inducing resorts than an Instagram star could shake a selfie stick at. With big hitter Soneva Fushi and its Six Senses Spa still flying the flag for the larger, more established resorts, it’s this smaller, boutique addition to the pack which promises ultimate solace and serenity in bucketloads. Muravandhoo Island is home to a 73-strong pack of villas, split across the beachfront and wooden jetty, each with private steps down to the crystal clear water’s edge. A fantastic kids’ club, hosting daily storytelling and treasure hunts, keeps little ones entertained while adults get to grips with the wealth of activities on offer, from snorkelling to unearthing the many mosaic art installations dotted across white sands. The wellbeing centre, meticulously brought to life by ESPA, provides respite from the often sweltering temperatures. Kandima brings a full-blown resort concept to the Maldives at an accessible price point. It’s a three-kilometre-long private island, with acres of space and activities on tap. One of only a handful of hotels in the Dhaalu atoll chain, there are over 40 near-private dive sites and all manner of watersports in the vast turquoise lagoon. There’s tennis, badminton, five-a-side, volleyball, gym and art classes and an excellent kids’ club complete with mini water park, as well as gravity-defying aerial yoga, a first for the Maldives. The style is more like a contemporary Ibiza hotel, with a bold, shiny colour scheme. With 11 different bars and restaurants, a beach club and pool at the southern tip and another 100m pool by the watersports HQ, you can do something different every day. At this price point it’s easy to see why it won best newcomer in the Maldives travel awards last year. The Westin Maldives Miriandhoo is a classy, contemporary alternative to the castaway-chic resorts typically found in the archipelago. Japanese developers and Italian architects have infused the resort with a clean aesthetic, piazza-i spired entrance and modern suites complete with Toto electronic toilets. There are six room categories but no short straws to be drawn as all include Westin’s Heavenly beds (quite possibly the most comfortable sleep you’ll ever have) and are located along the fringes of the island, offering spectacular sea views. Overwater villas include decks which span the full length of the open-plan suites, with a private pool, outdoor shower and steps leading straight to the sea. Overlooking a pristine turquoise lagoon in the Baa Atoll, Maldives’ only UNESCO World Biosphere Reserve, the island’s tropical landscape is home to a rich mix of marine life, from reef sharks to manta rays. The resort offers three culinary experiences: Island Kitchen for breakfast through to dinner with a fusion of Chinese, Indian and Maldivian cuisine, overwater dining at The Pearl for elegantly plated, authentic Japanese fare, and Thai street food-inspired Hawker for casual, toes-in-the-sand lunches. Solo travellers needn’t worry, a photographic studio with on- hand professionals will help you capture Insta-worthy holiday snaps. The latest outpost from Sonu and Eva Shivdasani, the couple who brought us one of the best and longest-standing hotels in the Maldives, Soneva Fushi. When Soneva Fushi first opened in 1995 there were few hotels to rival it, and it swiftly became a blueprint for sustainable eco-tourism. While Soneva Fushi is still going strong, Soneva Jani is its younger, rather snazzier sibling. All rooms are in bells and whistles water villas: a kitchenette, a rooftop dining area, a private pool, a sitting room, a bed with a retractable roof – yes, you read that right – so you can sleep under the stars. You can also shower under the stars, or bathe in the sea itself. 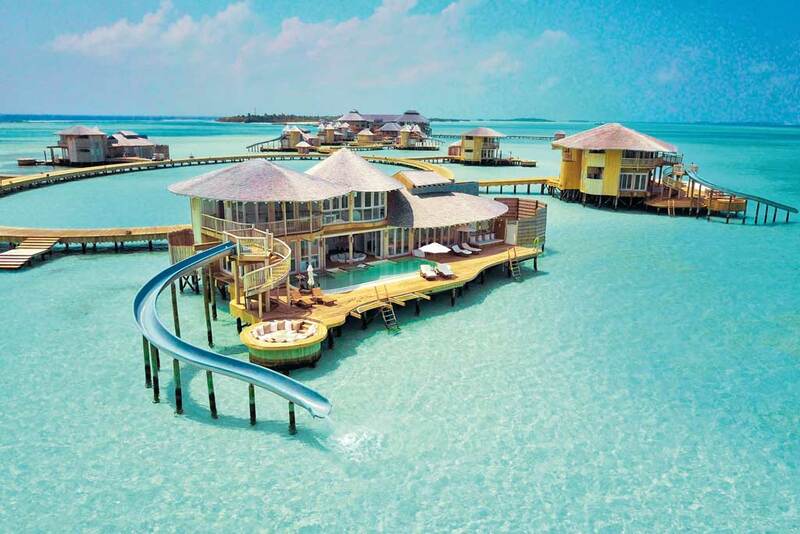 Most villas come with their own waterslide into the sea, and if they don’t you can pay to add one. Meantime the incredible Peruvian restaurant serves zing-fresh ceviche and offers an overwater cinema where you can loll with popcorn after your meal and watch a movie outside. There are watersports aplenty, ice cream, cheese and chocolate ‘rooms’, private beaches and lagoons. The new Crab Shack restaurant does just what it says. Everything is designed to nudge you into enjoying yourself; it would be absurdly hard not to succumb. Set on a long, fish-shaped island, Kanuhura feels wild and pristine enough to have those Crusoe-style moments but small enough to nip back for a forgotten book. Cycle to breakfast beneath a forest of coconut and papaya trees and explore vast empty beaches where hammocks sway between palm trees (a result, surely, of the private pools where many guests loll away their days). The 80 rooms are detached wooden cabins, including 20 built on stilts over the azure shallows, all minimalist whites and pale wood decorated with bright abstract artwork, woven cotton furnishings and big airy bathrooms with showers open to the jungle overhead. Situated in the Lhaviyani Atoll, known for its marine life, a 30-minute boat ride takes guests to swim over shoals of bright blue and yellow surgeon fish and four-metre manta rays. The Kokaa Spa’s therapists from Thailand, Bali and India offer body masks infused with crushed pearl and Himalayan crystal salt or warm mud blended with fresh seaweed, ginger and orange. 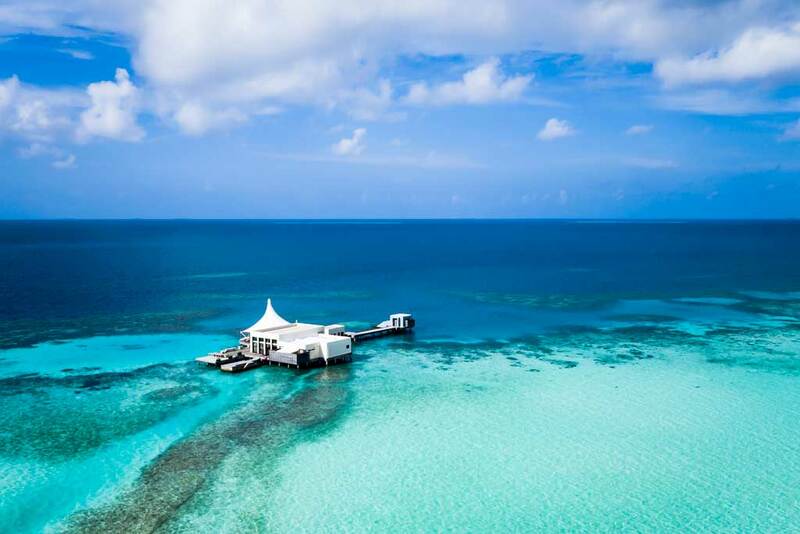 At the kids’ club, 4-11-year-olds go on treasure hunts or dress up as pirates and sail to Jehunuhura, the hotel’s island where there’s also a tiny restaurant. Another island, Masleggihura, is unoccupied but used for private ‘picnics’ – lobster and steaks barbecued by a private chef. At sunset, cocktails are shaken in tipis on the beach and guests choose between Italian, Asian fusion or local Maldivian fare for dinner. There’s nothing more magical than meandering home by moonlight on two wheels, with crabs scuttling across the path into the undergrowth. Gliding over the glistening Indian Ocean down to the South Ari Atoll is a wondrous experience in itself – step off the seaplane onto the ivory shores of Constance Moofushi and your breath is well and truly taken. Verdant pathways give way to pristine beaches while winding jetties lead to stilted ‘thatch and rope’ villas – each with steps down to the transparent waters below. Dotted with airy bars, oceanside eateries and an overwater spa, this paradise isle is tiny – you can stroll its palm-fringed perimeter in less than 15 minutes. While the vibe is horizontal by day, the island vivifies at dusk with DJs spinning chilled tunes and chefs rustling up candlelit grills on the beach. Head to the Totem Bar for oceanside sundowners and hypnotic views, or to the Manta eatery for moreish Maldivian fish curries. One of the few luxury all-inclusive resorts in the Maldives, you’ll find that drinks, colourful culinary offerings, most watersports and an offshore excursion are part and parcel here. Don’t miss the Snorkelling Experience to the reef: spot turtles, reef sharks, rays and tropical fish parading every colour of the rainbow. Wind down the day at the U Spa by Constance, with a Balinese massage in one of the open air treatment suites, followed by a glass of fizz on the relaxation deck. Kick off your shoes the moment you arrive, you won’t need them again. True barefoot luxury, this is Robinson Crusoe meets Wallpaper chic, perfect for design-savvy divers wanting easy access to the famed southern atolls where whale sharks and mantas lurk. One of the smallest Maldivian resorts, Mirihi weighs in at only 40 rooms, spread between overwater bungalows – book rooms 25 through 39 for the best snorkelling access – and beach villas hidden away in the coconut palms. 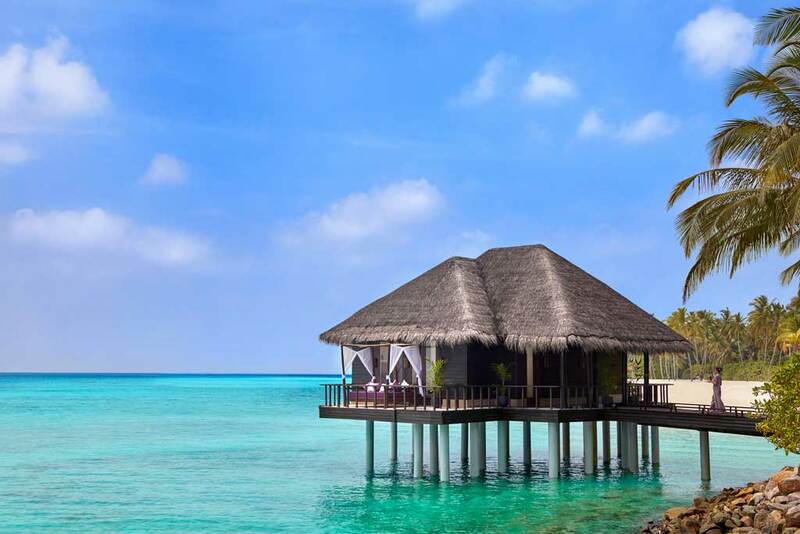 Refurbished in 2014, the look is pared-back Maldivian wood and thatch, tadelakt showers and towering 15ft-apex ceilings. New for this winter is a two-bed, two-storey beach house. Food is excellent, particularly the curries and sushi selection, with lavish themed buffets every night in the main restaurant. You can eat à la carte at Moraca, the restaurant on the water, and watch turtles, sharks and giant parrotfish swim beneath the underlit pontoon. Freshly raked carpets of sand run through the bar and main restaurant, with pails of water to rinse your feet room- side. It’s low-key, laid-back luxury, with no TVs in the rooms and not much to do on land apart from indulge in exquisite massages at the spa and relax into the paradise of tropical island life. Which is exactly the point. Flying in by seaplane, the first thing you notice about this hot new opening is the 200m swimming pool. It bisects the aptly named Sirru Fen Soneva Fushi or ‘secret water’ island. With only 120 villas – all of which come with private pool and butler service – spread over one of the Maldives’ largest resort islands, everything here is allowed to breathe. The design oozes understated style and bohemian rustic chic. Beach villas feel like private riads with lime-washed courtyard walls, ornate turquoise doors and large gardens, and the spacious overwater villas share the same vaulted ceilings and hand-etched cabinetry. A huge beaten copper bath takes centre stage. In a first for the Maldives they also offer lush safari-style tented jungle villas. Families are exceptionally well catered for, with a wonderfully imaginative kids’ club poolside. Teens will love the graffiti-covered shipping containers of Majaa, too. One of the most breathtaking islands in the Dhaalu Atoll. Scarlet and lemony umbrellas pop out against pristine ivory beaches, aqua infinity pools melt into the ocean and jungle-flanked pathways lead to stylish abodes. Two islands combine to create the resort – ‘Chill’ is the hub, playing host to lavish lagoon villas and a spa, while ‘Play’ boasts chic beach villas, a super-cool surf club and Nest, an Asian-fusion eatery where you can chomp on teppanyaki among the treetops. A fashionable crowd of loved-up couples and families explore the islands on personalised bikes. When the kids are settled into their Explorer’s club, grown-ups can choose to while away the days on jet skis and catamarans, hop on a dhoni to spot bottlenose dolphins or ride the waves at Vodi surf point. Niyama is the only luxury resort in the Maldives where the surf breaks directly on its own shore. For a memorable lunch, the island’s ‘boat bus’ will whisk you across to Subsix – an offshore, underwater eatery with a backdrop of swaying corals and tropical fish. Guests flock to experience the Subaquatic Lunch – the punchy menu includes lobster salad, crab ravioli and seabass (with a glass of wine thrown in) – and it’s totally worth the splurge. Dusk sees islanders converging at the rum shack for lazy sundowners before heading to one of four Michelin-worthy restaurants. If you’re in need of a preen before you head home, a trip to the Drift Spa is mandatory – with offerings including IV boosters, oxygen facials and a keratin blow dry, it’s one of the best in the Maldives. What you want, when you want, is the overriding vibe on this tiny speck of sand in the Baa Atoll – a 30-minute flight from the capital, Malé. It doesn’t matter if you crave a 1.3kg Wagyu steak for breakfast or have a thirst for champagne cocktails at 4 am, this is a private and exclusive bolthole where world-class cuisine and the finest wines collide, 24 hours a day. Such is the hedonistic commitment to unscripted living, you’re positively encouraged to put the resort’s team of talented international chefs and Maldivian housemasters (butlers) to work. There are three restaurants and two bars, but why not dream up a bespoke breakfast on an isolated sandbank, coupled with a remote beachside spa treatment? Or imagine a sunset barbecue on a nearby virgin island, followed by a dusk-lit search for dolphins. The Nautilus is so new that you might be the very first guests to stay in one of its 26 beachside and overwater houses. 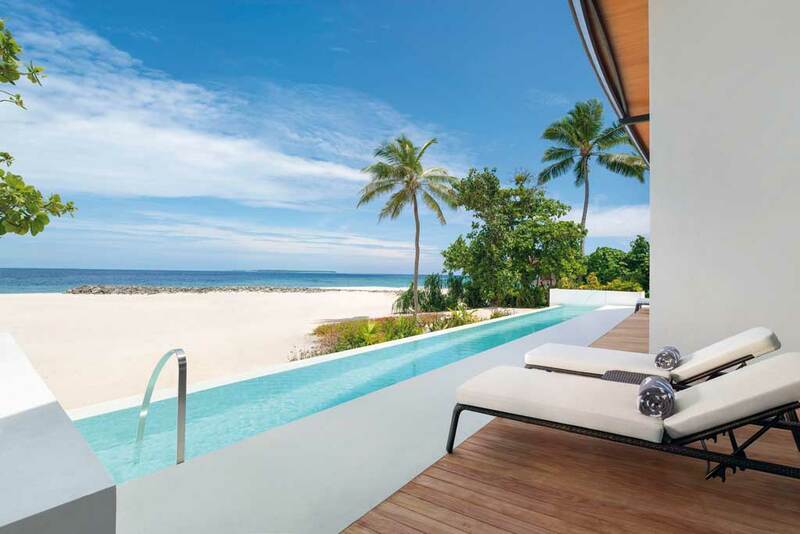 Calling them ‘rooms’ would be a disservice – they’re ginormous homes, flanked by lofty coconut palms and surrounded by wooden decking, boasting large pools, easy access to the house reef and views of the horizon-gobbling Indian Ocean. So slow down, adapt, and be creative – the world (or at the very least this 242 x 249m island) is very much your oyster. Why here: Since opening in 2015, Amilla Soneva Fushi has been a true disruptor of the traditional Maldives experience and an indulgent island home from home for discerning jet-setters with an eye for the avant-garde. With its clean, contemporary architecture, thoughtful service and witty attention to detail, the resort – located in the UNESCO Biosphere of Baa Atoll, just 30 minutes by seaplane from Malé International – has put the Maldives on the map as a destination not just for couples, but for families and groups of friends. Literally translating as ‘My Island Home’, Amilla Soneva Fushi effortlessly conjures a luxurious ‘homecoming’ feeling for first timers and old friends alike.
. Offering a choice of 67 Miami-meets-Maldives Island Homes and Residences that hover over the crystal clear lagoon, nestle among lush treetops or hug the shores of pristine white sand, Amilla Soneva Fushi is home to more purpose-designed houses of two or more bedrooms with interconnecting rooms than any other Maldives resort, providing total peace of mind for parents. Activities: HUB by Dive Butler, water sports and other leisure activities, Amilla Soneva Fushi has its own house reef, The Blue Hole dive and snorkelling site, and all non-motorised watersports (excluding diving) are part of the Amilla experience and can be participated in at no extra charge. Amilla has also partnered with Dive Butler International to create the Home of the Underwater Biosphere (HUB), providing a wide selection of water-based activities around Baa Atoll, including pioneering ‘Rendezvous’ diving experiences and courses for novices or experienced divers alike. There is also the Jim Courier Tennis centre, located nearby the residences, featuring two floodlit tennis courts, with tennis pros from Jim Courier Tennis JCT available to coach on request. What’s my room like: Spacious one and two-bed Beach, Ocean Reef, Ocean Lagoon and Lagoon Houses; Wellness Tree Houses by Bodyism that are 12 metres up in the jungle canopy; ranging between 200 and 600 square metres and all have their own large pool. For VVIP families and parties seeking the ultimate in space and privacy, eight four- to eight-bedroom Beach Residences are also available to book – and indeed to purchase – on request (POA for seriously interested buyers). Best dish: Fringing the freeform pool at Amilla’s sociable heart, chilled-out foodie hub bazaar brings together a diverse array of carefully curated food and drinks to suit every mood and occasion – you can choose from Wok, Fresh, Grill and Joe’s Pizza, or even British seaside treat at the shore-side Fish & Chip Shop. Signature restaurant Feeling Koi is a modern Japanese hotspot with the cool 1 OAK Sunset Lounge and cocktail bar. You can also stock up for beach BBQs and picnics at the gourmet café-deli The Emperor General Store or taste fine wines and artisanal cheeses at The Wine Shop & Cellar Door – and a ‘Home Delivery’ service is available from all the island’s restaurants. Star spa treatment: Javvu Spa has worked on treatments created in partnership with high profile brands such as Bodyism, Pure Massage, ila, Gentleman’s Tonic, QMS and Louise Galvin. The exclusive partnership with Bodyism brings James Duigan’s ‘Clean and Lean’ philosophy to island guests in a typically special and unique way; Wellness Tree Houses are private one-bedroom spa ‘nests’ with their own dedicated treatment suites, high in the treetops, where guests can enjoy a uniquely personal, inclusive wellness experience delivered by Bodyism Performance Specialists; personal training, Bodyism classes and sessions; and The Island Café by Clean and Lean. TOP TIP: Any fish you catch can be taken back to the resort and cooked in the restaurant to your chosen recipe. Double room rate: US$1,250 per night, based on two adults sharing a one-bedroom Lagoon House including breakfast (excludes tax and service). Why here: The diving. The area of sea around the island is called ‘The Aquarium’ as it has an unusually high diversity of sea life, even for the Maldives. The island has a manta ray feeding and breeding ground 150m from the beach. Island vibe: The island is adults-only so the only families out there are with older children. It’s popular with HNWIs, honeymooners/couples and divers. Activities: Scuba diving, snorkelling, sunset cruises, spa treatments, yoga, tennis, football, volleyball, dinner at 5.8 (world’s largest, all-glass, undersea restaurant), lunch on a deserted island. Being green: 30 percent of the island is powered by solar energy. There is also a water bottling plant to substantially reduce the island’s plastic consumption, a food recycling programme and a collection of local greenhouses producing fresh produce for guests. The Manta Trust operates on the island and not only understands the importance of preserving the Maldives’ underwater wildlife but actively takes part in studying and rebuilding it. They lead educational dives, actively replant coral and monitor the local wildlife to preserve the stunning local habitats. What’s my room like: Furnished in tropical décor and equipped with the latest technology, the villas are situated across the lagoon or along the beach. Half the villas have an infinity pool. Contemporarily designed, the villas are the epitome of tropical chic with clean lines, earthy tones and natural materials. How about… Greek Island Hopping? Celeb spotting: So far, Frankie and Wayne Bridge have been along with a plethora of international social influencers. Star spa treatment: The Maldivian Island Paradise Ritual is the one to try for the ultimate indulgence. This 120-minute treatment pampers from top to toe, leaving skin hydrated and hair nourished, thanks to the local 100 per cent virgin coconut oil. It begins with a freshly ground Coconut-Vanilla Body Polish which sloughs off dry skin, revealing healthy skin beneath. A coconut hair mask is then applied, while the therapist performs an Indian head massage using rosemary-infused coconut oil. The oil is then left to penetrate the hair, deeply conditioning it in the process, while you lie back and enjoy either a Balinese or Muscle Ease massage with coconut oil. Best dish: Their eight course, taster menu at 5.8 is stunning. Serving dishes including yellow fin tuna, diver scallop and Asian Angus beef, it is a feast for the senses. TOP TIP: Go on the dive to see the Manta Rays. Only 50m from the beach, they gather in schools of up to 50 rays to feed, barrel rolling in front of you. It a truly breathtaking sight and is uncommon in that size and accessibility, even for the Maldives. Double room rate: Prices start from £520 for a Beach Villa (for two) on a bed and breakfast basis. Why here: Kanuhura has been re-imagined by Inge Moore and her design team at HBA in London, as a unique island retreat. Their project has included the re-design of every existing area and the introduction of some new spaces, making it a brand new resort, with an existing client base. Island vibe: In the ambition to create a truly different destination for this part of the world, the designers took as their starting point the word ‘Gypset’, a lifestyle that combines that of the gypsy fused with the sophistication and speed of the jet set. It attracts a lot of repeat guests, young couples and young families due to the abundance of activities on offer, as well as the great room configurations. Activities: Guests have exclusive access to Jehunuhura Private Island, so you can get a true Robinson Crusoe feel. You can eat lunch or dinner or have spa treatments and yoga sessions on the island, accessible only by boat or foot from the resort. There’s also diving, guided snorkelling trips, PADI certification courses, tennis, squash and a little more gentle, daily yoga and pilates. There are watersports aplenty too, with windsurfing and catamaran sailing courses available. Beginners can opt for resort or taster courses, which are four or eight hours long – at the end you’ll be certified. There’s also wake-boarding, canoes, pedalos, paddle boards and underwater scooters. Children are also well catered for, with child-sized windsurfers, kayaks and water-skis. Being green: Kanuhura’s Marine Biology Research Centre is dedicated to coral reef ecology and conservation. You’ll not only observe our incredible flora and fauna under the sea: if you choose to do so, you can help us protect them, too. What’s my room like? The bedrooms on the beach, the Palm Houses, all have uninterrupted views towards the ocean and offer a colour palette inspired by the palms. The bedrooms flow onto the garden terrace outside. These villas have private pools including private sun loungers and an outdoor dining area. Star spa treatment: The 90-minute Crystal Massage, which aims to restore vitality through the healing and stimulating properties of crystals. The full body massage uses hot and cold blue lace agate crystal balls to relieve muscle tension and invigorate the body, while omega and antioxidant-rich Marula oil soften and soothe the skin. Followed by a neck and face drainage massage using flat crystals, it will leave your skin refreshed and your mind relaxed. TOP TIP: Have lunch at the Chef’s Herb Garden – set amid a beautiful hanging vegetable garden, a large communal table becomes the focal point to enjoy lunch or dinner using the finest freshly picked herbs. Cookery classes are also available here. Double room rate: Beach Bungalow Sunrise during low season (April to 30 September 2017) start from $700 based on two sharing on a bed & breakfast basis. Why here: In a preserved environment, pristine waters and opulent vegetation offer Cheval Blanc Randheli an exceptional setting. The Maison has been conceived in synergy with the island’s natural surroundings, lush vegetation and lagoon views. Island vibe: Stunning design by Jean-Michel Gathy and exceptional service – Art de Recevoir underpins Cheval Blanc’s methodology. Lots of treats and surprises punctuate the stay to adorn everyday life and to surprise guests. With an exceptionally personalised and caring approach, service is tailored according to each guest’s wishes. Activities: Everything and anything. Cheval Blanc offers exceptional experiences, including a sunset dolphin cruise in a traditional dhoni, access to your own private yacht – The Azimut, Jungle Bootcamp on a separate island and Spa island accessed by dhoni for day-long retreats. What’s my room like? Choose from Island Villas, Water Villas or – unique in the Maldives – Garden Water Villas which combine private garden space on one side with direct water access on the other side. The Owners Villa is an exclusive four bedroom villa on its own private island, the ultimate holiday experience for families and friends. Star spa treatment: On its very own spa island, and the only Guerlain spa in the Maldives, which offers orchid based facials to half day pampering session such as Princess of a Day, which will have you looking like royalty by the end. Best dish: Fresh Maldivian fish prepared on a Mediterranean style grill and Langoustine Prosecco Risotto at Deelani or a 15 -course tasting menu at Diptyque – choose from Japanese or Spanish and watch the chefs in live action seated at the bar. Double room rate: From approx. £1,850 per night, including breakfast and all taxes and charges. Why here: Milaidhoo Island Maldives opened in November 2016 and provides a true sense of small-island living, reminding guests why everyone fell in love with the destination in the first place. The resort focuses on introducing guests to the very best the Maldives has to offer through design, cuisine, nature, service and activities. Island vibe: The ultimate resort for laid-back luxury – ideal for high-end luxury traveller whether that’s couples, honeymooners or groups of friends, who love diving and adventure. Activities: Foodies can learn how to master traditional recipes, handed down through generations and can join the local fisherman for the catch of the day. Waterbabies can discover the spectacular Maldivian sea life with Milaidhoo’s resident marine biologist, with a visit to Hanifaru Bay, a marine protected area which attracts the largest seasonal groupings of manta rays in the world, as well as being one of the best places to spot whale sharks in the Maldives. For the ultimate day out in paradise, take a trip to a remote sandbank where you can snorkel, sip champagne, enjoy a seafood bento box lunch and laze around on sunbeds crafted out of sand, adorned with cushions. Accommodation: You can choose between Water Villas or Beach Villas, all of which come complete with infinity pool, day beds, sun loungers, swings and delightful Island Host (chilled-out butler). The bathrooms are a highlight, as they come complete with enormous egg-shaped stone baths, specially designed for the resort to comfortably fit two. 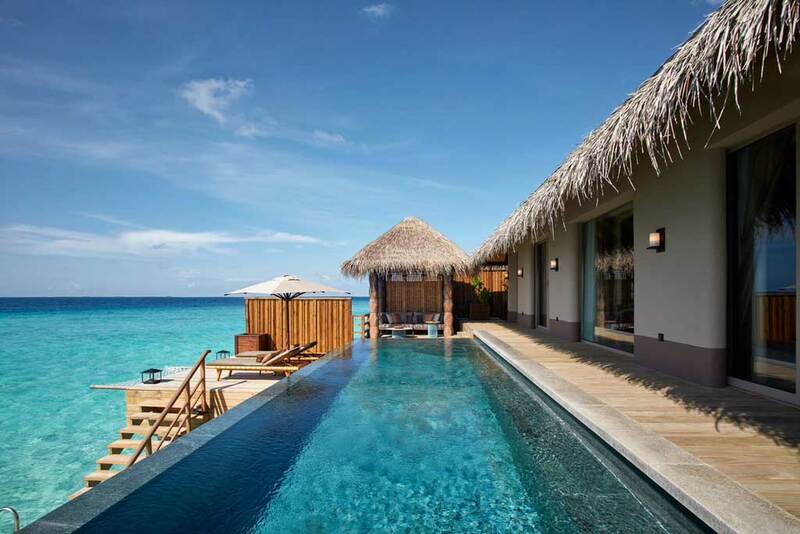 The bath overlooks the ocean, while the walk-in rain shower in the Water Villas has a glass floor. Being green: With Milaidhoo being situated in the UNESCO world biosphere reserve, conservation is one of their guiding philosophies. The resort is a participant of the Green Globe certification process and green initiatives the resort undertakes include: They have a state-of-the-art water and STP plant ensuring no contaminants enter the ocean and making best practicable re-use of grey water, they have a coral regeneration programme in place. Star spa treatment: Go for the ‘Milaidhoo Lavender and Lime Ceremony’ by TheraNaka. This ceremony begins with a full body exfoliation, followed by a luxurious milk bath to prepare the body for a 60-minute full-body East African Wood Massage. Best dish: Ba’theli restaurant is the first modern Maldivian restaurant in the Maldives, which has been built in the shape of three boats that stand on stilts over the lagoon. Led by Maldivian chef Ahmed Sivath, Baa’thli’s dishes are steeped in tradition, each inspired from the Maldivian Spice Route. Favourites include: Garudhiya (famous Maldivian soup featuring lightly poached skipjack tuna, perfumed with young curry and pandanus heart), Bakari Sanaamugu Hiki Riha (Maldivian five spiced lamb loin, bitter snake gourd and chickpea gravy, brinjal fritters) and Filolhu Ihi Riha (grilled white snapper fillets, with Maldivian lobster , tomato essence, coconut espuma). TOP TIP: Don’t miss the complimentary yoga and meditation sessions, on offer every day, with resident yogi, in the stunning over-water, open-air pavilion at the spa. Double room rate: From $1,625 per night in a Water Pool Villa on a half board basis, based on two sharing. Why here: Baros Maldives is the ‘original’ luxury resort in the Maldives, having opened in 1973. It is situated in the central southern part of North Malé Atoll, just 25 minutes by speedboat from the international airport, an ideal transfer especially after a long-haul flight. It is surrounded by one of the best house-reefs in the India Ocean, only 15–30 metres from the shore, alive with colours, fish, turtles, rays and coral. Island vibe: Romance all the way – Baros was voted ‘Most Romantic Resort in the World 2016’ at the World Travel Awards for the fourth time. 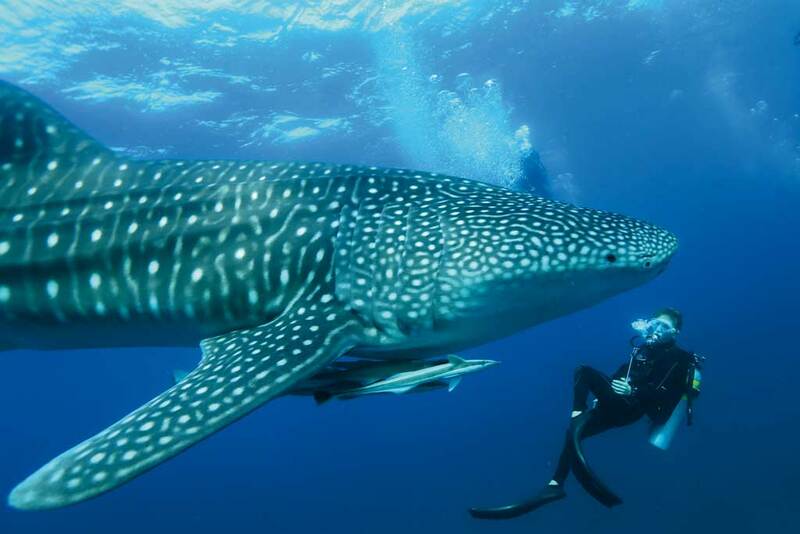 Activities: Diving is a major highlight. Everyone can explore the spectacular house-reef, enjoy thrilling night dives and even get their PADI at their renowned Dive Centre. Those who prefer to stay dry can book a cruise on board Nooma, Baros’ traditional wooden dhoni boat, or Serenity, the resorts luxury motor yacht. For foodies, Destination Dining is a plus and you can enjoy a fine dining experience anywhere on the island. Accommodation: It’s all about the ‘outside, inside life’ feel for guests with their 45 Beachside and 30 Water luxury Villas, many complete with private pools. Designed by Maldivian architect Mohamed Shafeeq, with interiors by Anita Indra Dewi, all were built by local craftsmen using natural materials to blend with the surrounding environment, including natural stones, tropical wood, coconut thatch, sandstone and timber. Being green: Baros has been a leader in green initiatives for 40 years, making it a pioneer eco-friendly resort in the Maldives. 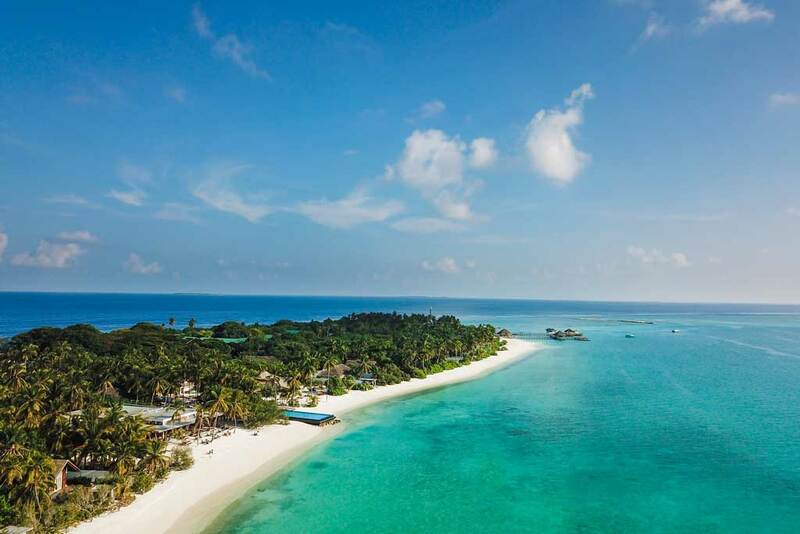 Formerly an uninhabited wilderness of coconut palms and tropical undergrowth surrounded by an untouched, coral sand beach, the resort’s original rural ambience has been preserved by respecting its natural ecosystems. Special measures include the careful use of water, CFC-free air conditioning units, minimal use of non-bio-degradable products and conducting awareness programs with their island neighbours. Additionally, their dive centre, Divers Baros Maldives, was one of the first in the archipelago and was the first resort EcoDive Centre in the Maldives, as certified by International Reef Check. Star spa treatment: Signature treatments include the Baros Sand Poultice, designed to improve circulation, relax muscles, reduce water retention and draw out toxins – the perfect remedy for a long-haul journey. The Piano Deck Couples Massage is the ultimate romantic spa experience, taking place at sunset on a secluded deck in the shape of a grand piano, floating over the sparkling lagoon. Best dish: Baros is home to highly acclaimed restaurant The Lighthouse, one of the best fine-dining restaurants in the Maldives, serving outstanding French-inspired dishes paired with excellent wines recommended by the sommelier. Set on an over-water pavilion with a white pinnacle roof, highlight dishes include: Cognac flambéed lobster bisque, Asian spice grilled mahi-mahi fillets and pan-fried lemongrass sand lobster tails. TOP TIP: Dare-devil divers can try exclusive Fluo Night Diving – a unique and remarkable adventure made possible due to the resort’s close proximity to the sheltered waters on the house reef. Double room rate: From $675 per night in a Deluxe Villa on a B&B basis, excluding taxes. Why here: Soneva Jani is set in a lagoon surrounded by five untouched islands, with 24 overwater villas and one Island Reserve. Each of the Overwater Villas has a retractable roof in the master bedroom, that glides back at the touch of a button so that guests can sleep under the stars at night. Island vibe: Guests are encouraged to adopt the ’no news, no shoes’ ethos, a phrase that was coined at the ‘original’ barefoot luxury Soneva Fushi. The resort offers Robinson Crusoe-style escapism without avoiding luxuries. Those with an eco-conscious can visit Soneva Jani and relax in the knowledge that it has a strong commitment to sustainability. It’s perfectly suited to couples, groups as well as families. Activities: It has the first silent overwater cinema in the Maldives – Cinema Paradiso, where you can watch films with wireless headphones without disturbing the nesting wildlife nearby. It also has the first overwater observatory in the Maldives. A sophisticated telescope rises up through the floor of the observatory deck, offering views of the starry sky and its resident astronomer is on hand to teach guests all about the night sky. Finally, guests can enjoy the tranquillity of the remaining four islands that are being kept as natural as possible. These uninhabited islands are used for experiences such as the ‘Robinson Crusoe Castaway Picnic’ – a truly amazing desert island experience. Accommodation: The villas are some of the largest in the Maldives, and the overwater villas are built in renewable wood featuring lots of sweeping curves. Some offer slides from the top deck straight into the lagoon blue, and have portholes in the floor allowing guests to watch the ocean below. Being green: Soneva’s Eco Centro Waste-to-Wealth centre will ensure that waste is recycled, while the extensive vegetable garden will give local produce for the restaurants based on organic principles. The pools use seawater with UV filtration and the villas have been built over the sandy floors of the lagoon, with no damage to any part of the reef. Furthermore, solar PV will be a significant source of power generation at the resort. All waste-water will be collected and treated on-site, and water will also be produced on-site, including drinking water. Best dish: Free chocolate and free ice cream are available all day, every day at So Cool, as well as sushi and sashimi, charcuterie and cheese. For something special, eat at the Observatory where you can dine at one of four tables equipped with screens linked to the view from the telescope. Celeb spotting: Luke Evans, Gwyneth Paltrow, Kate Winslet, Paul McCartney, Madonna, Naomie Harris, Cara Delevigne, Nicole Scherzinger, Jodie Kidd and Princess Madeline of Sweden. TOP TIP: Book a water villa with a slide – these allow guests to slide from the top deck of the villa into the lagoon below! Double room rate: From 1,870 USD per night. Why here: It’s the only resort in the Southern Laamu Atoll with an incredible signature Six Senses Spa, its own resident marine biology team committed to turtle conservation and coral health and recovery, and some of the best waves in the Maldives to surf (guests can catch the best waves between April and October when wind and waves are up, with the biggest swells likely to occur in June to September, including the Yin Yang Surf Break, the most famous break in the Maldives, which conveniently breaks just a few metres from the resort). Island vibe: The vibe is most definitely barefoot luxury, aimed at those who want a luxury Indian Ocean resort experience that goes beyond just five-star service. It is also a family paradise with so many on offer to keep little ones entertained and allow parents some R&R time. Activities: Aside from the incredible spa offering for which perhaps the group is most famous, guests can venture out onto a yacht for the day, which includes fishing, snorkelling and a picnic on a deserted island, with a beach barbecue on the private sandbank serving up a delicious catch of the day. Culture vultures can venture out to nearby Hithadhoo Island and pop into the schools, community centres and a mosque to take a glimpse at the Maldivian way of life, and even visit some of the locals’ homes. 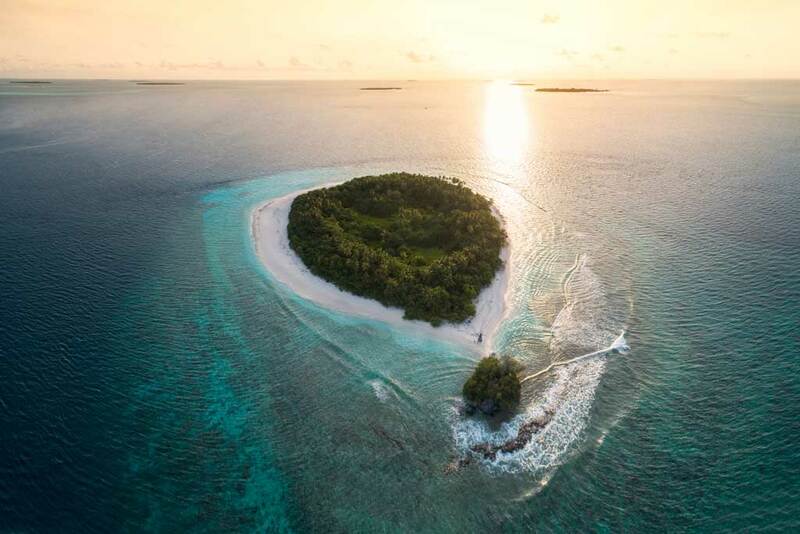 Six Senses Laamu has recently taken advantage of its proximity to the best Maldives surf breaks and thriving surf culture by partnering with Australian masters of luxury surfing, Tropicsurf. From April to October the resort offers keen surfers the opportunity to tackle the mighty Yin Yang wave – one of the most famous surfing waves that breaks just offshore on the outer reef of the island of Hithadhoo, just a few minutes from Six Senses. 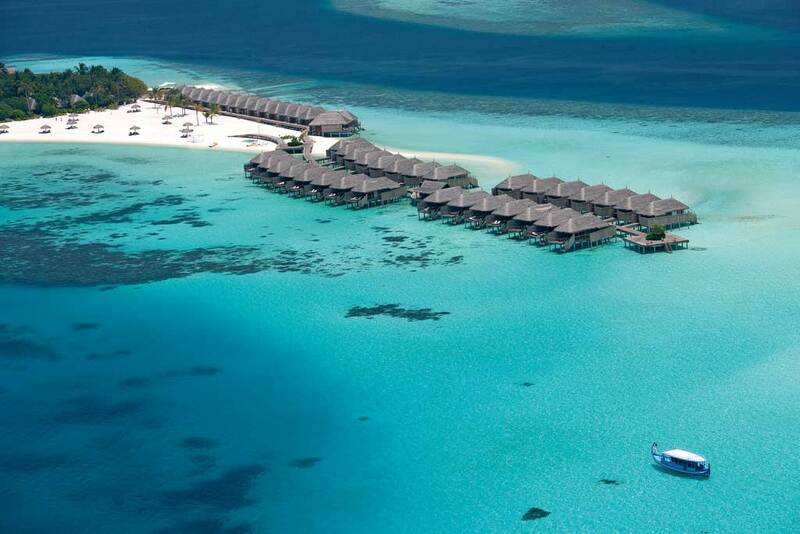 Accommodation: Guests can choose between beach or over-water villas. Beach Villas are tucked away in the lush tropical vegetation and face the lagoon, have private access to their own stretch of beach and an outdoor rain shower. For panoramic views there’s a treetop deck. A short bike ride are the overwater villas secluded by high wooden enclosures. Offering direct access to the sea, guests can snorkel around the lagoon or relax on overwater netting hammocks. There’s also an outdoor relaxation platform with day beds and sun loungers, as well as an aquarium dining desk with a glass-bottomed dining table. Being green: Six Senses Laamu deserves special congratulations for being the only hotel in the world to make the shortlist for the 2017 Ocean Awards, the preeminent prizes for marine-conservation initiatives. It uses renewable energy to heat the water, rooms are built to stay cool, and air conditioners are low energy consuming units. They have their own recycling facility and do not use plastic for room amenities or water. Star spa treatment: Set right on the beach, the spa offers four uniquely designed couple’s treatment nests, four secluded couple’s treatment pavilions, plus one ayurvedic treatment pavilion, all within the island’s natural vegetation. All of the Six Senses Signature Massages are excellent (there are four varieties: Deep Tissue, Detox, Energiser, Holistic and Oriental), or try the Ayurveda Aromatherapy Abhyang Fusion massage – calming, detoxifying and rejuvenating, this full body treatment expertly merges Ayurveda, Aromatherapy, marma massage, reflexology, remedial techniques, lymphatic drainage and chakra balancing. Using rich aromatic blends, it is recommended for detoxification, better sleep, strengthening of muscles and joints, reducing the signs of cellulite or as a jetlag relief. Best dish: At Leaf, Six Senses Laamu’s signature restaurant, each dish is expertly paired with a wine by Head Sommelier, Karim Boulet. Try the ‘Laamu Fruity Freed Fish Cevice’ (marinated atoll reef fish with pomelo, pickled green mango, pineapple and pomegranate served with tomato sorbet). TOP TIP: Don’t miss out on the incredible array of diving options on offer – the Laamu Atoll truly is a diver’s paradise. Travellers are spoilt for choice when it comes to diving in the Maldives, however Six Senses Laamu is home to the best diving sites in the region – the Reef Dives, Kandus and Thilas being the most important of all. Double room rate: From US$827 (approx. 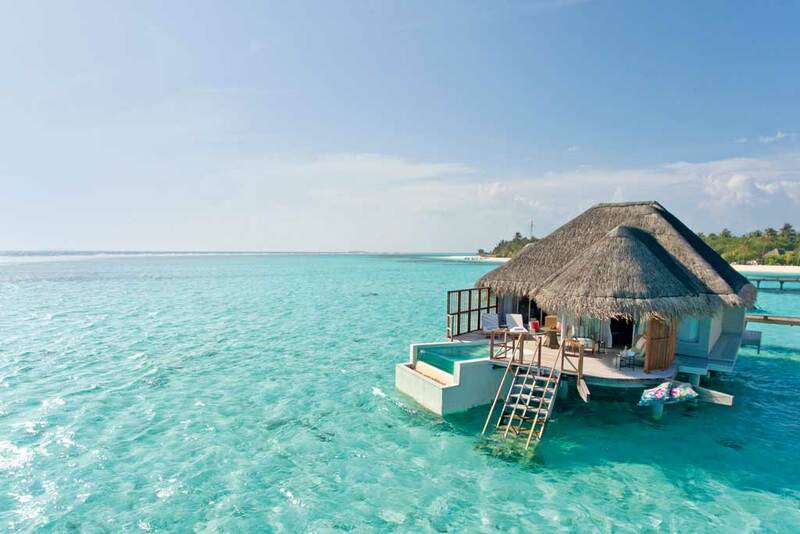 £635) per night in a Lagoon Water Villa. This is subject to 10 percent service charge and 12 per cent GST. Why here: Just opened Kandima Maldives is the first lifestyle resort in the country – we are talking about the first ‘true’ lifestyle resort – Kandima will be accessible to everyone and reflect the NEW Maldives. The first thing to note is its size. This isn’t a ‘ten-minute to walk around the island’ job. Kandima is three km in length so plenty of room for your tropical paradisetranquillityy but with a cool twist of play, partying, action and exploring. Island vibe: The island is 3km long and designed to suit everyone, from families, friends and honeymooners. It attracts those who have always wanted to go to the Maldives, but worry about there being nothing to do. Activities: There’s a stunning large lagoon, the longest white-sand beach in the country, ten restaurants and bars, a beautiful spa, a marine biology centre, art studio, photography studio, jewellery-making classes, cooking lessons, anti-gravity yoga, meditation, new and crazy fitness classes, a library, diving with hammerhead sharks, a turtle beach, watersports such as wake-boarding, SUP, kayaks and banana boats, ‘Kaniland’ unparalleled kids club and for those that like to party, Kandima has the largest beach club in the Maldives and our sleek, sensual, mysterious nightclub and bar – The Forbidden Bar! Accommodation: The resort offers a choice of 274 stylishly designed studios, beach and aqua villas, with 11 different categories to choose from, all of which have a private terrace and endless tropical views to enjoy. Their locations at different points along island makes the accommodation suitable for honeymooners and couples seeking privacy and families as well as group of friends looking for activity. A big focus for us is on technology – making the experience as smooth and easy as possible for our guests. Each room will have a 40-inch LED TV with an entertainment system where you can stream your own movies, music and your Instagram photos that you’ve been posting throughout the day. Best dish: Anything from Sea Dragon (Kandima’s signature restaurant) and set to become the best Chinese restaurant in the country. Situated on the Kandima shore, elevated above the ocean with beautiful large outdoor decking. Kandima has 10 F&B outlets – one of the highest in the Maldives, so there’s plenty to choose from. Being green: Kandima uses smart state of the art technology to improve the guest experience but also to follow one of its values: to be responsible and reduce its carbon footprint due to reducing the islands waste and energy consumption. All water waste and glass are recycled, food composted, items responsibly packaged, energy saved through smart room controls and printed collateral radically reduced through the use of the app and interactive systems. TOP TIP: Don’t miss the sunrise Hammerhead shark diving experience, it’s worth getting up early for. Double room rate: Available from £160 half board per person per night, based on two adults sharing. Why here: A pioneer among global resorts, Landaa Giraavaru has been at the forefront of innovative hospitality since it first opened. But we’re not talking gimmicks here, but more emotional and transformative innovations, the kind that make you happy just to be there. For example, the resort’s pioneering apprenticeship scheme that has transformed the lives and kick-started the careers of nearly 500 local youngsters since it launched over a decade ago; conservation projects that include an on-site turtle rehabilitation centre that has rehabilitated and returned more than 150 ghost-net-injured sea turtles back to the ocean; the surrounding UNESCO Biosphere Reserve, home to the world’s largest known population of manta rays (identified by the resort’s comprehensive manta ray research project, the founding project for The Manta Trust); and the multi-award winning Spa & Ayurvedic Retreat, one of Asia’s most renowned centres of natural healing – a three-acre haven of wellness that offers everything from AntiGravity yoga to Panchakarma, with tailored support that even extends to an online Ayurvedic Pharmacy so guests can continue their wellbeing goals back home. Island vibe: Family and romance. Vast accommodation compounds hidden behind turquoise gates offer huge areas of privacy for couples and families alike. The resort is beautifully spaced – with many facilities located at the water’s edge down lush jungle paths – that it never feels contrived or crowded, even at full capacity. Romance, relaxation, rejuvenation and reconnection are the order of each and every day. Activities: Highlights include Manta On Call (you’re given a phone to be called, anytime, when the manta researchers see mantas nearby so you can be speed-boated out to swim with them); lagoon-based PADI dive courses for children as young as eight (only a handful of resorts in the world have been granted this special dispensation by PADI); the opportunity to plant your own coral reef and then watch it grow via pictures online; Panchakarma, a complete Ayurvedic cleanse not usually available in luxury spas; fun water sports like X-Jetblades and kite-surfing; plus lovely touches like monogrammed bicycles for every member of your group to explore the island. Being green: The resort was the winner of the ‘Doing It All’ and ‘Wildlife Conservation’ categories for large resorts in the Conde Nast Traveler (US) World Savers Awards in 2012 for very good reason. Highlights of the past 6 months alone include the opening of a completely restructured and reimagined Marine Discovery Centre to showcase a decade of marine conservation projects via big screens, touch-activated Prezi presentations, detailed wall displays, a huge aquarium, kids’ touch tank, video wall, naturally styled fish breeding tanks, fish lab and glass-fronted turtle tanks; the Flying Turtles project, which involved the historic transfer of the first live turtles ever to fly overseas from the Maldives for conservation purposes and the development of a new Dolphin ID project – using photos of dorsal fins to identify individuals seen regularly in local waters. What’s my room like? Your Beach Villa (the resort’s most popular option out of 13 room types) is a gated oasis set within its own private compound, walled for privacy and bursting with tropical foliage. Your open-air sand floor living and dining pavilion comes complete with a spiral staircase leading to a furnished sea-gazing loft room, while your private 12-metre lap pool – flanked by a cushioned day bed, deck with loungers, and garden – is the heart of your villa experience. And that’s even before you’ve stepped foot inside the huge air-con bedrooms and bathrooms with cool white and blue beach-chic tones, sofa areas and walk-through wardrobe and dressing corridors. Star spa treatment: If you have the time, book a full Ayurvedic Immersion – an authentic and all-inclusive 7, 14 or 21-day journey of discovery into the heart of Ayurveda; or opt for any one (or all) of the blissful Chakra Blessing treatments devised by ila. The spa was named ‘Best Holistic Hideaway’ by the Condé Nast Traveller Spa Guide 2016 and ‘Best Innovative Spa Concept’ in the Gala Spa Awards 2016 on account of all of its experiences so it’s not easy to go wrong with a selection. For something a little different, a session of suspended AntiGravity Yoga in the dedicated jungle yoga shala is a must, as is a circuit of the unique Yoga Energy Trail: an inspiring exploration of self and surroundings against a myriad of mind-blowing UNESCO Biosphere Reserve viewpoints. Double room rate: The Beach Bungalow with pool from USD 1,300 per night, plus taxes. Founding editor of Country & Town House, Lucy Cleland has been in the glossy magazine business for around 20 years, and divides her time between the glamour of Acton and the mud and wellies of the New Forest with her husband and two children.